Ibuki hangs out with Kosuzu and promises to protect the geisha and maiko in Osaka as he’s heading there with Serizawa later for business. 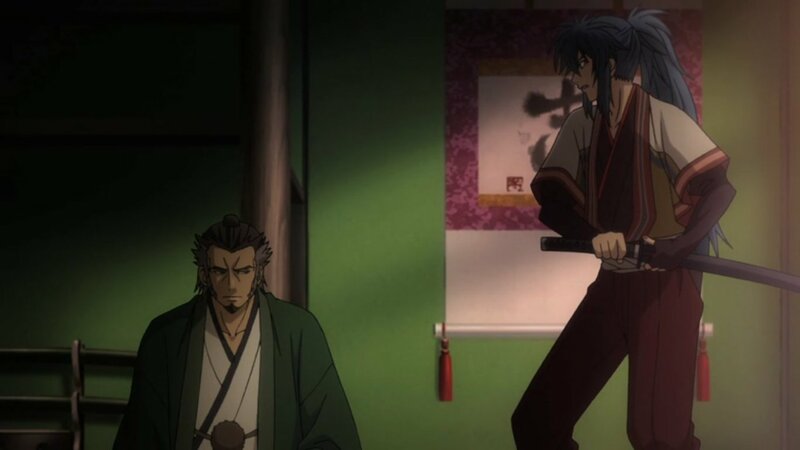 Yamazaki insults Ibuki’s resolve as he’s unable to decide on whether to leave or stay and the two start a fight. But they settle their differences and lets us know a bit about their past. Elsewhere Sannan tells Heisuke that Ibuki has learnt too much. Serizawa and others head to Osaka. Serizawa gets drunk one night and causes a big fuss in a geisha house, Ibuki was powerless. News spreads and everyone hates the Roshigumi more. Unable to face Kosuzu, Ibuki vents his anger out on Serizawa but can’t do anything. Another person is caught trying to loan money with Serizawa’s name and is forced Ochimizu. That person escapes and runs wild. 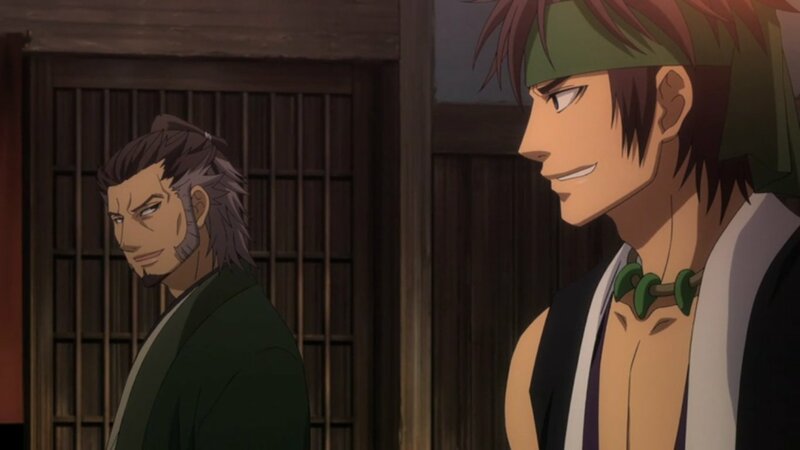 They find him near where Kosuzu lives and Ibuki decides to take part in the search with Okita. 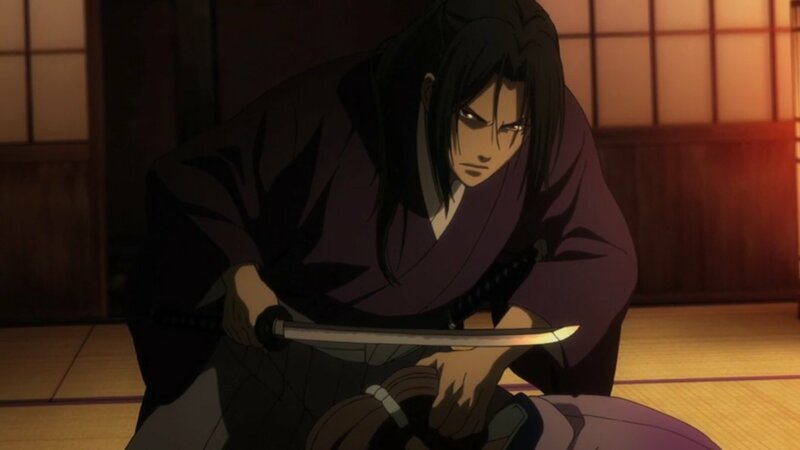 When they find him Okita kills him with help from Ibuki. Ibuki was close in finally letting his anger out on Serizawa. 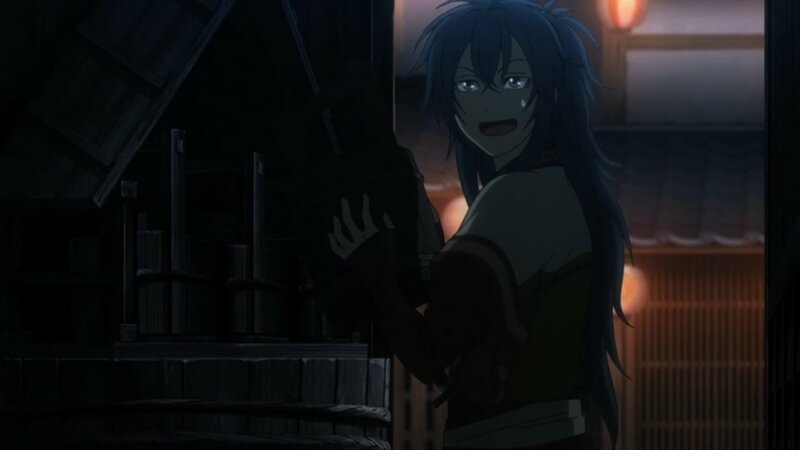 But of course he doesn’t have the guts to actually draw his sword against his commanding officer. That would mean death. I don’t think a little hate is going to drive him over the edge. However I do think that this is indicating the start of something and he will crack eventually. Slowly building up the tension rather than him lashing out straight away. Going in the right direction towards Ibuki and Serizawa’s double elimination, from my predictions that is. Yamazaki was a bit over the top I think. It’s true that Ibuki isn’t staying here because he wants to. Serizawa is forcing him to stay, that’s not an excuse as there is a good chance Serizawa will chase Ibuki down and maybe kill him if Ibuki tried to run. Even if he doesn’t chase him, he doesn’t really have a way of surviving alone. And this is why whilst I think Yamazaki was over the top, I think he was right in some aspects. Ibuki should set his mind on either staying or leaving. At the moment he has no idea what he wants to do, he doesn’t want to train properly and join up with the Roshigumi, yet he doesn’t have a plan at all for how he’s going to survive when he leaves. He needs to make his mind up, however I think the Roshigumi has already done that for him. As Sannan said, he knows too much so I don’t think they’ll allow him to leave, alive at least. 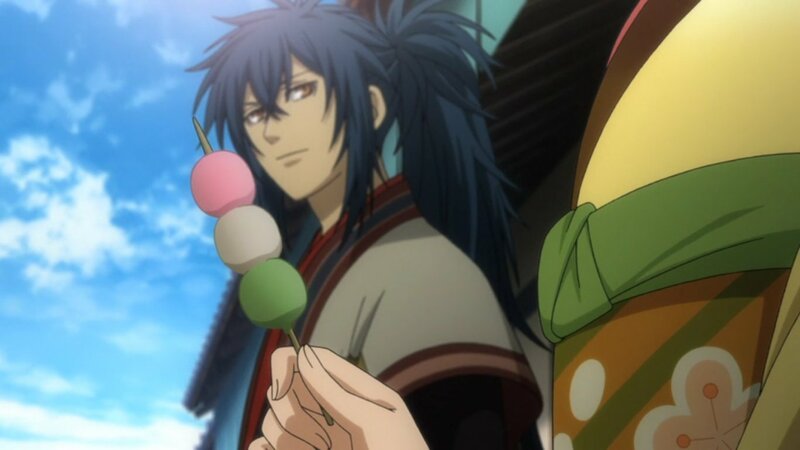 A bit of development for Ibuki this episode, he was able to throw stuff at the rasetsu! Jokes aside, at least he wasn’t completely useless this time. It is development in his resolve, and of course it would be none other than Kosuzu, Ibuki’s love interest, to spark that resolve. He’s becoming less useless now, perhaps the next time he’ll actually draw his sword? 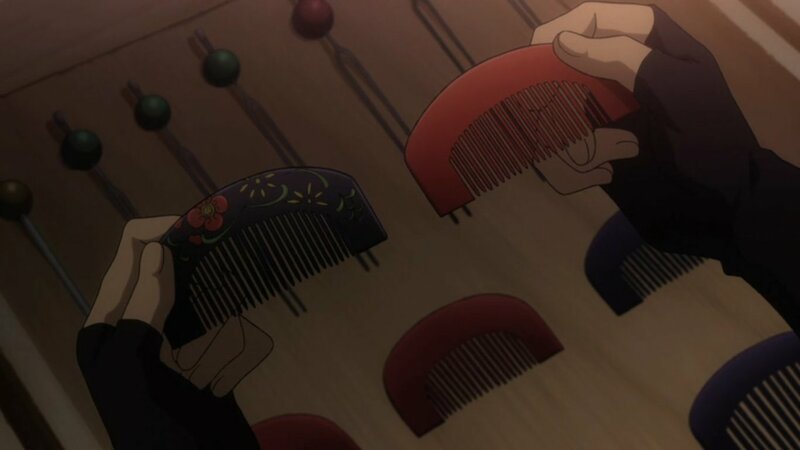 Maybe Kosuzu will be in trouble again and that’ll force him to draw and attempt to be a man. Nearing the end now and we’re finally seeing some real determination shown by Ibuki, not a lot, but I’m sure it’ll build step by step, or hoping rather. Looking forward to how they sort out the Serizawa problem and to see if my predictions are right.